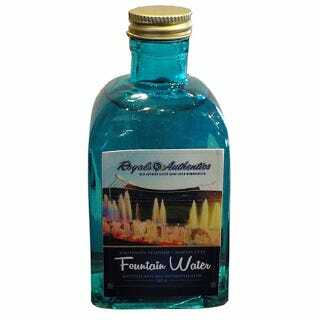 Hey, Royals fans: Your team's shop is selling small bottles of water from Kauffman Stadium's fountain, because they don't respect your intelligence. Get one of these undrinkable water bottles for just $19.99, so you can tell everyone how you bought a bottle of water for almost $20 because it came from a baseball park. That'll go over well. The description persuades you to "[t]ake a piece of Kauffman Stadium home with you." There are other (legal) ways to take a piece of Kauffman Stadium home with you. Hell, a much larger bottle of water from one of the concession stands would be much cheaper. And technically, it's also a piece of Kauffman Stadium.